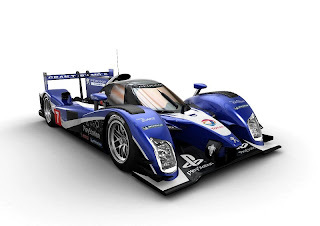 With the ACO (a French-based sports car sanctioning body) introducing new regulations for the upcoming 2011 24-Hour of Le Mans, auto companies competing in the now level LMP category has been sent to the drawing boards. Complying to new aerodynamic and technical specifications, Peugeot has unveiled their 2011 fighter in the ultimate goal to reclaim the highly-desirable French sports car endurance race. 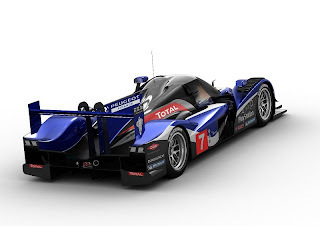 Unlike the Audi Le Mans Prototype program that redefined itself with a new designation (ie. 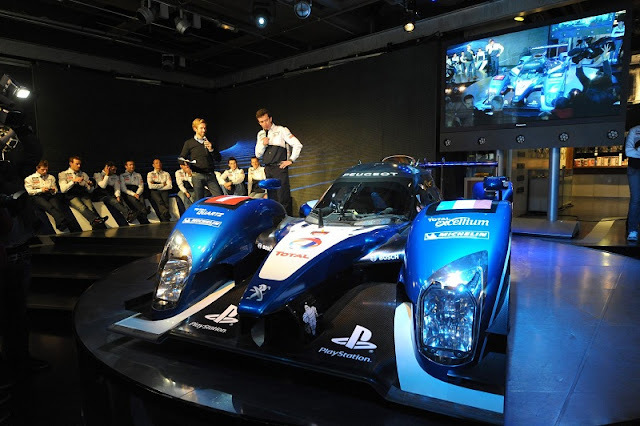 R8, R10, R15 and now R18), Peugeot has chosen to retain the 908 numbering for identifying the 2011 race car. Preparing for battle against the Audi R18, the 2011 Peugeot 908 HDi FAP comes with two major design changes over last season's 12 Hours of Sebring-winning vehicle. Continuing into this season as a closed cockpit race car, the most notable aesthetic difference between the old 908 and the new 908 is the ACO-mandated shark fin over the engine cover. 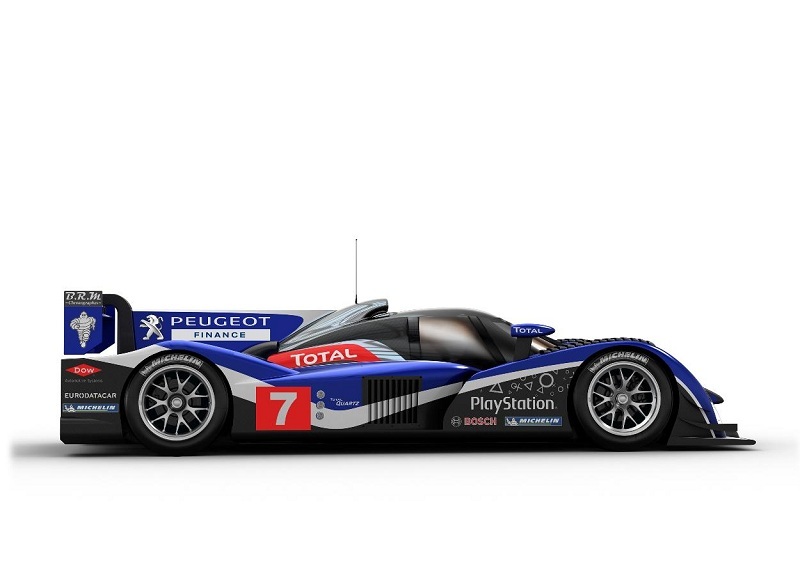 Another special consideration for the 2011 Le Mans Prototype Peugeot 908 is that all four wheels are the same size. Because of the before-mentioned ACO rule changes, the Peugeot 5.5 liter HDi V-12 engine which ran from 2007 through and 2010 is obsolete. Working to the maximum engine displacement allowable by ACO rules for a turbodiesel 8-cylinder, the new Peugeot 908 prototype features a 3.7 liter race powerplant. Using much of the same technology including turbocharging and a diesel emission particulate filter, the Peugeot 908's new 3.7 liter HDi V-8 features a 90 degree engine angle compared to the 100 degree V-angle of the outgoing V-12. Peugeot Sport's 2011 season starts with the first round of the Intercontinental Cup at the Mobil 12 Hours of Sebring on March 19th under the American Le Mans Series.